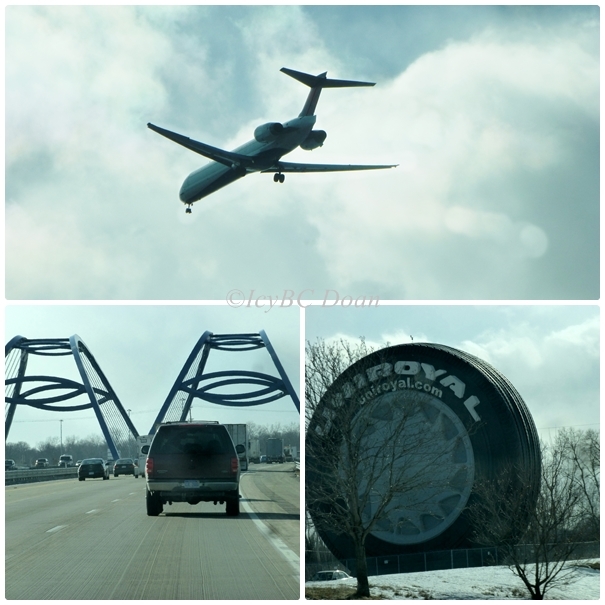 We had to drop off my oldest son at the airport on Thursday, and while he was driving, I snapped some shots that I thought interesting on I-94. I am sure I had some of these somewhere in the archives, but it would take longer to locate them than snapping new ones. This is the first time I saw this statue on top of an old church. It's a road that we don't travel often and I might not have been paying attention too much! I love old buildings, and old churches as their architecture are just so detailed and amazing. Happy week to all.. Your a true blogger. I learned a long time ago that just one photo of anything is not near enough. The gold statue is pretty, I am sure it attract many looks from the road. Cool shot of the plane! Thanks for sharing! Have a happy week! It looks like this was a fun outing! I so understand trying to find the digital data!! Just take a new picture. Thanks so for sharing. I agree...besides, it is fun to take more photos, even if you have them in your archives. Nice "drive-by" photos. That is one huge tire!